They were thorough and worked to minimize discomfort. My husband and I had our teeth cleaned at Cranford Dental recently. The hygienists, Nan and Betsy were both very professional and friendly, as well as the rest of the staff. I highly recommend this dental office. It is a joy to have my teeth cleaned at Cranford dental. The cleaning is pleasant, there is very little wait time, the facility is clean, bright, inviting and relaxing. I’m glad a friend referred me to Cranford. The folks at Cranford are always pleasant, professional, courteous, and perform their services in a timely manner. I would highly recommend this office! The professional service that you always receive at Cranford Dental is absolutely the best!! The staff is friendly and highly qualified to give excellent care. I highly recommend Cranford Dental. Very friendly people from the receptionist desk to the hygienist to the Dr. I am very pleased with the time Betsy and Dr. Robinson spent with me and the gentle care I was given. Thank you. Friendly staff who really know their stuff. A++. After years of neglect due to being terrified of dentists and needles, it was finally time for me to go. I found Cranford Dental online, and selected them because of their early hours, and their great reviews. They were very patient with me, took time to explain different options, and answered every question I had. They were very professional. I am now almost over my fear of dentists, and I will be scheduling a routing checkup/cleaning in the next few weeks! Thanks again! I have been a client at Cranford Dental for 30 years and have always been happy with my care. All the staff treat you like family while maintaining professionalism. They are very efficient but never make you feel rushed. I highly recommend Cranford Dental. 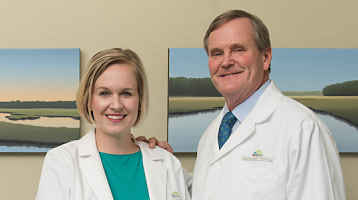 We (husband and wife) neglected our teeth for several years, but the care we receive at Cranford dental has more than made up for our mistakes. The crowns, fillings, and regular cleanings have all been done with care and consideration. What a great crew works in this office! For almost 35 years, Cranford Dental has continued to amaze me with their quality service and professional attitude. The best Dental group around. We have been patients of Dr. Cranford for over 15 years and now our small children are patients as well. Great family dentist! As usual, great care, pleasant and kind people. Best dental office I have ever used. Great staff, caring and concerned with my care and comfort. A molar crown that I had from 5 years ago(note: It was a different dentist that initially did the work and it was uncomfortable for a year after.) dislodged thanks to some chewing gum. I just moved back to Rock Hill three months before and now had a great reason to find a dentist. Glad I called Cranford first. Why? Great reviews, decades of experience and local. The friendly staff was able to work me in THE SAME DAY! Dr. Cranford and April efficiently reattached the cap and with a little sanding, made it stop irritating my gum! I was finished in less than 45 minutes!Thanks to the “Cranford Crew”… I have found the best professionals to take care of my precious teeth. Friendliest professionals I’ve met in this area! Everyone is so kind, and treats you like you’re family. I understand now why so many of my friends and family come to Cranford! Staff is very professional. They made me feel very comfortable and explained everything they did. They went the extra mile to provide excellent dental services.